We, the undersigned, Canadian national organizations and concerned citizens, are calling upon you to use the full power of your office to intervene on behalf of Canadian citizen Salim Alaradi, who has been unlawfully detained in the United Arab Emirates (UAE) since August 2014 without charge. It is vital that Canada demand that he be released unless he is charged immediately with a recognizable criminal offence and brought promptly to trial in fair proceedings. Your intervention is critical in ensuring that Mr. Alaradi’s human rights will be respected and upheld. Mr. Alaradi is the husband of Canadian citizen Zaghuwan Aliya and the father of five Canadian children: Marwa 17, Nur 14, Mohamed 12, Rayhana 7, and Yasmin 3. Mr. Alaradi travelled to and from the UAE since 1992 and currently operates Hommer International, a global competitor in home appliances. He has lived in the UAE without restrictions for many years and was a law-abiding resident. 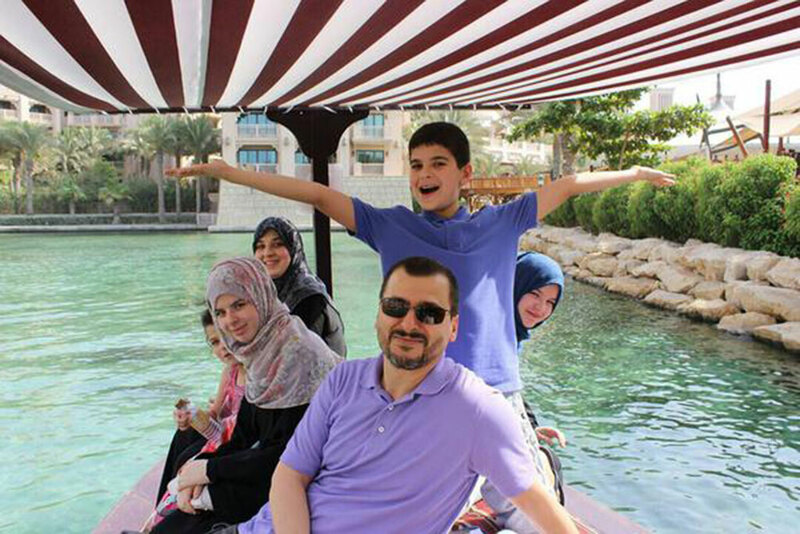 On August 28, 2014 Mr. Alaradi was arrested without charge from a hotel during a family vacation in Dubai. He has been arbitrarily detained since that time by the UAE Security Services, without any charges. He is currently being held at the Wathba Abu Dhabi Prison. Mr. Alaradi’s situation is urgent. He has a number of pre-existing medical conditions prior to his detention that have increased in severity as a direct result of the detention, along with new medical complaints caused by his detention. In addition to asthma, high cholesterol and vulnerabilities due to an open-heart surgery, he has developed new conditions in his back, major weight loss, eye infection and bronchitis. Canadian authorities have informed the family that they are seriously concerned about his health after seeing him in a recent visit. Mr. Alaradi’s basic human rights have been violated for almost a year now. There is no legal basis for his detention – he has been not been charged with any recognizable criminal or other offence. UAE lawyers have been unable or prevented from representing Mr. Alaradi due to a lack of accusations and charges and that Mr. Alaradi is currently detained outside of the legal system. We live in a country whose profound commitment to human rights has always been recognized by the international community. It is with the knowledge of and pride in this commitment that we raise Mr. Alaradi’s case with you. We have every expectation that you will remain true to our proud legacy. Prime Minister, we ask that you intervene vigorously on behalf of Salim’s wife, Zaghuwan, and their five young children. As Canadians, they have every expectation that you will recognize this case as a travesty of justice and do everything in your power to ensure that his rights are fully protected. This entry was posted in News from ICLMG on 17 August 2015 by ICLMG CSILC.